Milk Rice/ Paal Sadam – Easy and instant rice recipe made with cooked rice, warm milk, sugar or salt. 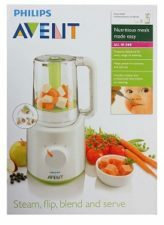 It’s a very simple recipe that you can prefer when you travel with your toddler / kid or if they are fussy about drinking milk. Milk rice always reminds me of my childhood as I like this milk rice very much when I was a kid. 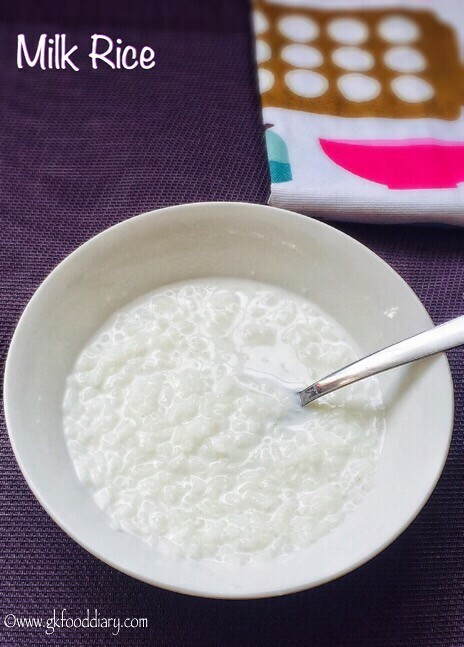 Milk rice recipe can be given to babies from one year after introducing cow’s milk separate. This milk rice tastes good with both either sweetener or salt. But you can choose according to your child’s preference. 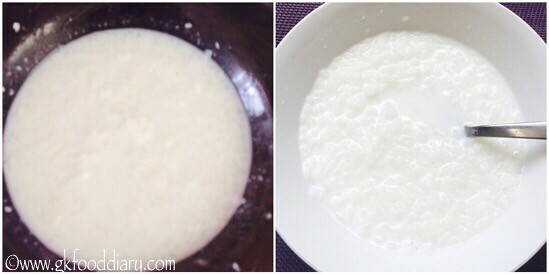 Here is how to make easy milk rice recipe for babies and toddlers. Cook rice in a pot or pressure cooker. Once cooked cool it down and mash it completely. Take the mashed rice in a mixing bowl. Add warm milk, sugar and salt (if using). Mix everything well. Adjust the consistency by adding milk. Now Add ghee at the end (optional). Give a quick stir. 1. Cook rice in a pot or pressure cooker. Once cooked cool it down and mash it completely. 1. Take the mashed rice in a mixing bowl. Add warm milk, sugar and salt (if using). 2. Mix everything well. Adjust the consistency by adding milk . Now Add ghee at the end (optional). Give a quick stir. Milk rice is ready! Serve warm! The consistency of this milk rice should be slightly thick. Adjust milk quantity accordingly. Use whole thick milk for best results. 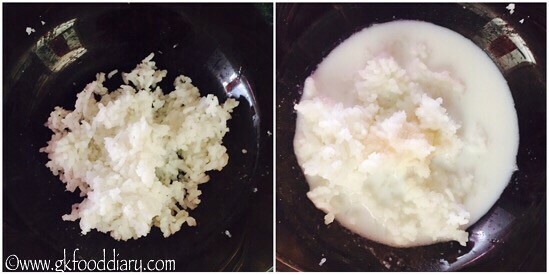 You can make this milk rice either with sugar or salt or even the combination of both. Choose according to your child’s taste buds. Adjust sweetner as per your preference. It’s mildly sweet as per the quantity mentioned above. 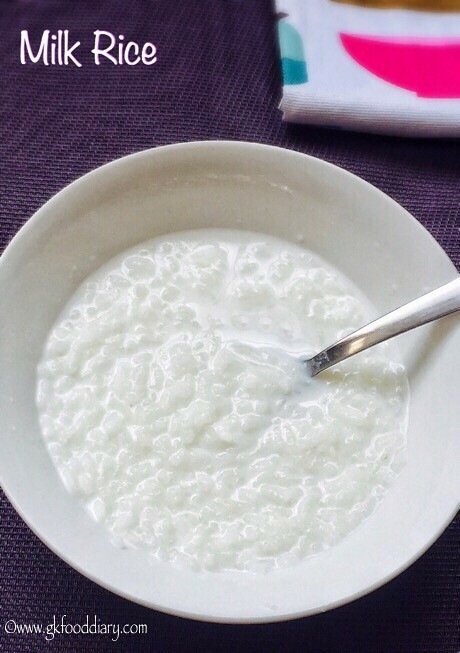 You can also add nuts or nuts powder to this milk rice. 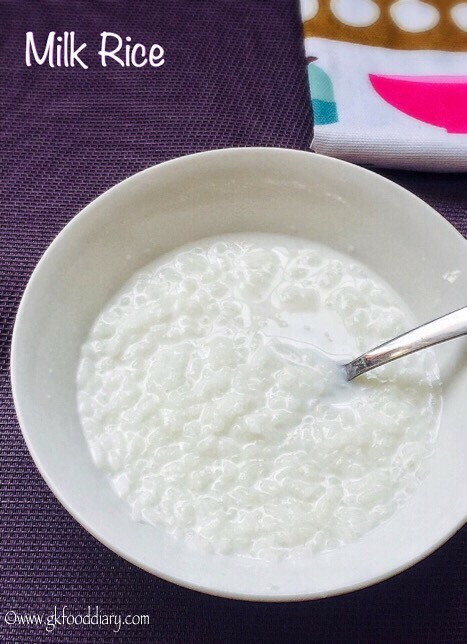 Make sure to introduce each ingredient separate before you try this milk rice.